Is eating meat ethical? Yes! 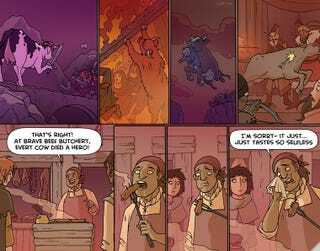 But only if the animal bravely sacrificed themselves for another as today’s SFW Oglaf points out. Guess Lassie is on the menu tonight.